Current Version: 2.2 Requires TRIBUNAL Expansion! Adds many enhancements to the Hlaalu stronghold of Rethan Manor, a complete fourth stage of construction. Should now work with Join All Houses. Also includes a Necessities of Morrowind-compatible version of the esp. ** Note: This mod contains 2 esp files. DO NOT use both; see readme. 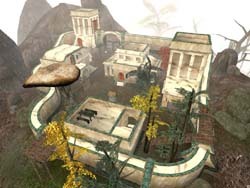 Adds a new stronghold on an island in the Azura's Coast region, which the player can gain through a quest. 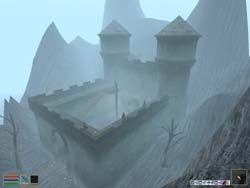 The stronghold is built in the Imperial style, and includes a main hall, trophy room, armory, dungeon, study, and two bedrooms. This mod also gives the player the option to buy knights who will help the player in a fight.